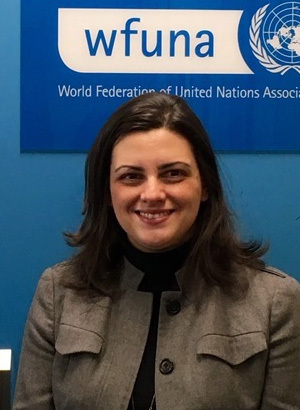 Mari Ullmann is Sustainable Development Officer at the New York headquarters of the World Federation of United Nations Associations, where she is responsible for the organization’s work to promote the Sustainable Development Goals. Prior to joining WFUNA, she was Advocacy Advisor with Plan International, leading their post-2015 advocacy at the UN, with a particular focus on youth participation. Previous positions include the Center for Universal Education at the Brookings Institution and Save the Children in Ethiopia, where she managed education programs for Somali refugees. Mari holds an M.A. in International Education from New York University, and a B.A. in Anthropology from McGill University.